Wooden gates on metal frame. Wooden boards are attached to metal frame. Frame is galvanised and painted. Hand forged gates. Attractive handcrafted gates. Welds are hidden by clamps. Details are attached between the boards with rivets. Simple metal gates. The metal rods are welded either on a four-pipe or between the slats. If desired, you can make it a little more interesting with forged elements. Gate posts must be properly secured. 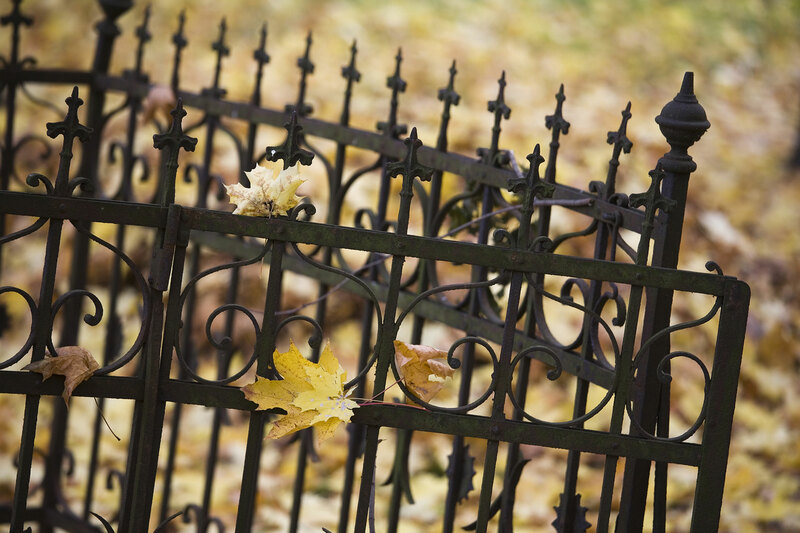 If you have wide gates, then there is a force vector in play and therefore the gate posts are under high burden. In order to prevent gates from sinking, we are offering a complete frame to the gates. The posts are rigidly connected to each other under the ground. This solution does not allow the posts to move even when the soil is emerging due the temperature changes. It is also possible to order only the posts and concrete them into soil, but that depends on the type of the soil. Alternatively, if the fence has a good foundation then it is possible to screw the concrete posts onto the foundation with anchors. 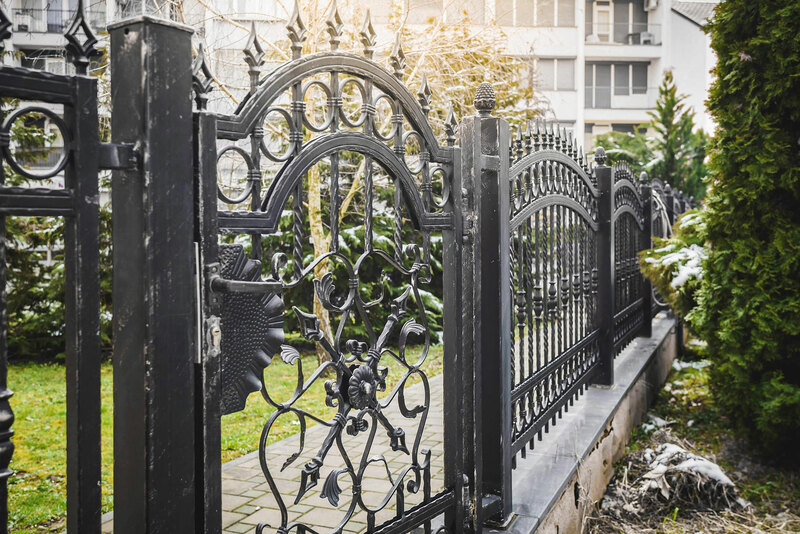 We offer forged fences as well as simpler welded fences. 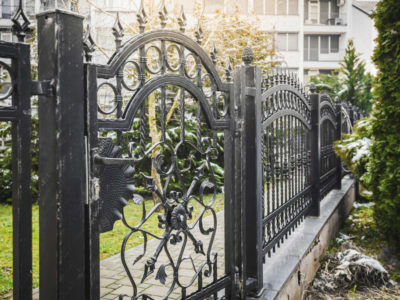 At first, it may seem like an exaggeration to galvanize the garden panels…But later it might mean a decent saving. Forged fences are attached with slates and there is an area in between what you cannot cover with paint. The moisture that gets there can cause rust and it will start loosening the colour from the bottom. 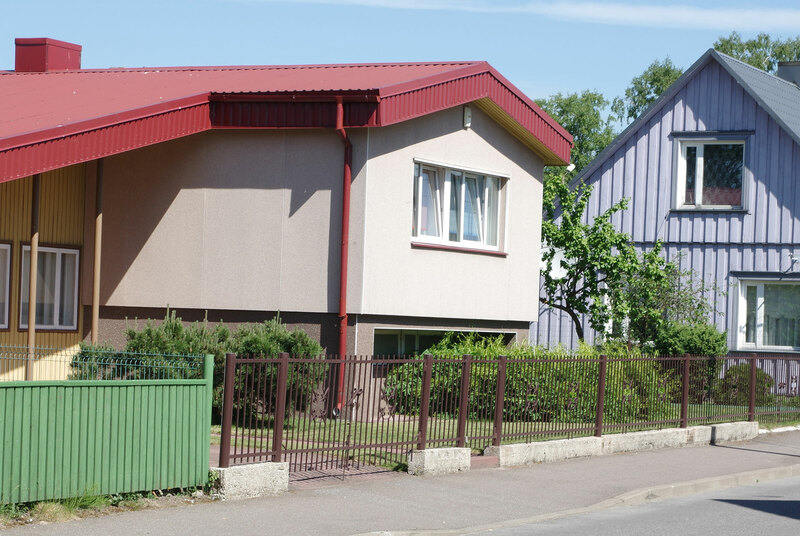 The zinc coating creates a rust-proof layer under the colour and the colour stays intact for 10 and more years. 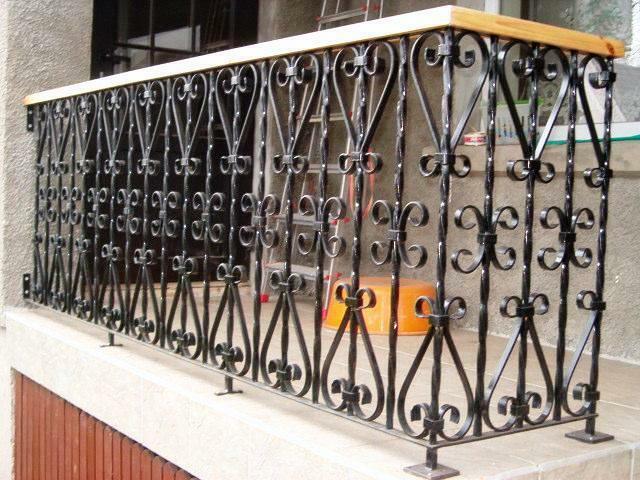 We make railings for balconies, staircases. Window grills, French balconies…forging and welding – however best suits to our clients.